Benidorm Transfers from Alicante Airport to all Hotels, Resorts and Holidayhomes. Would you like to make your next holidays super exciting? 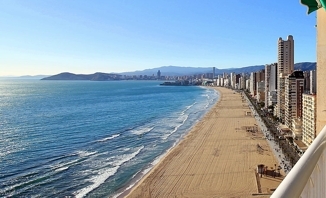 Go for Benidorm Costa Blanca this time. It is a beautiful place for perfect holidays. Amazing weather, charming beaches and wild nightlife, are some ingredients to make a trip ultimate. Plan an adventurous trip with friends or a romantic trip with your spouse, Benidorm Costa Blanca will not disappoint you. 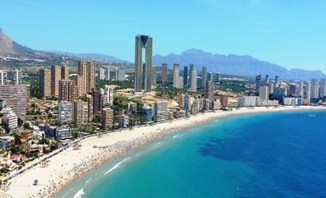 Levante Beach, Poniente Beach, La Cruz de Benidorm and Puig Campana, are some wonderful worth visiting places you should visit during the trip with our Benidorm Transfers. During your stay in Benidorm Costa Blanca, you can plan Benidorm Bike Tour, Segway Tour of Benidorm, Campello, Calpe and Denia Villages Trip, Valencia Lladró Factory Visit and Villajoyosa Villages Trip, etc. Don’t overlook the importance of a reliable airport shuttle when you are planning for a trip to Benidorm. When it comes to convenience, safe and economical Hotel shuttle service, we are second to none. We can take you to your hotel from the airport as per your needs. To satisfy all your needs, we boast a fleet of well-maintained and insured vehicles. We have various vehicles for single traveler to large travel groups. Our chauffeurs make sure that you feel relaxed during the trip and reach at your destination at the right time. Unlike other transportation service providers, we don’t charge unnecessary fee from clients for our Benidorm Transfers. You are super excited for your next Benidorm Transfers trip and you have selected a hotel and flight, etc. with extra care to make the trip as wonderful as possible. But, what about the airport transfer? It is one of the most important factors that can add convenience or hassle in the trip. Relying on public transport can spoil your mood and make you feel tired even before the journey starts. Opt for our Alicante Benidorm Airport Taxi service for a safe and comfortable journey without burning a hole in your pocket. We never ask for advance payment, so you don’t need to be concerned about money. Book our airport transfer online and let us drop you at the airport conveniently. It takes a few minutes to make a booking. Just share your pick-up and drop location along with time and number of passengers, we will show you the availability. We enable you to choose a vehicle of your choice. Once you make a selection, we will send you a price quote. To get more details about our services, visit Frequently Asked Questions section on our website. How to book a Benidorm Airport Transfer? You don’t need to spend so much time to book a Benidorm Airport Transfer. With a user-friendly website, it is quite easy to book an airport shuttle. First, choose a pick up point and drop out location along with time and we will show you the availability. We have a large fleet of vehicles and you can select the most suitable one for the airport ride. Once you are done with the selection, we suggest a price quote. We have easy and flexible payment options and we never ask for advance payment. You can pay the cash conveniently to the driver or pay us through PayPal or online transfer. We don’t ask for any hidden charge or taxes and offer reasonably priced services. Browse Benidorm Transfers from Alicante Airport online booking form to book an airport transfer. How to get from Alicante Airport to your Hotel in Benidorm? Benidorm Transfers from Alicante Airport, we provide reliable, low-cost Alicante airport transfers to Hotels in Benidorm (Costa Blanca), with using a modern fleet of fully licensed & insured minivans and minibuses. Euron Transfer is the ultimate stop and ideal solution if you are looking forward to easy and reliable service from airports to hotel. Book your private airport transfer online and pay to the driver uppon arrival. Here you can find our FAQ about our Transfer Service from Alicante Airport. 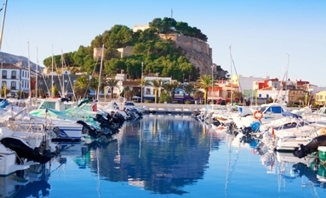 Alicante Airport Taxi Service is a reasonably priced service so it is in the reach of everyone. Owing to great customer support, the best price and various options, this service is gaining popularity among travelers. Check the Rates of our Transfer service in Alicante here. Book your taxi now and get ready for a great trip, to book your ride go to our Transfer Booking Page. 7/24 Customer service number are on your booking confirmation.